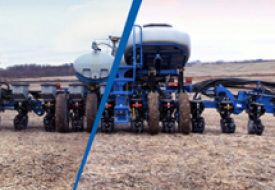 Kinze is a family business centered around integrity, innovation, excellence, customer focus, and mutual respect. These core, family values are not just words. 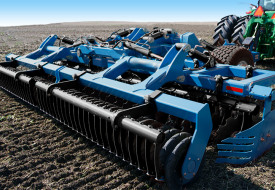 They define the Kinze culture, the business operation, and the people. It’s 1965. A 21-year old farm boy has $25 in his pocket and a small loan from his hometown bank. With a few new tools and some equipment, he decides to open his own welding shop in Ladora, Iowa. Everyone knew young Jon Kinzenbaw had a gift for fixing things. Few could have guessed his welding shop would one day grow into one of the largest specialty manufacturers in North America. Jon is still actively involved in the business today. 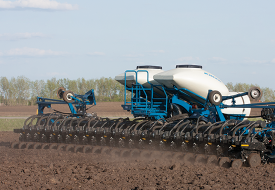 He also continues to farm while enjoying his hobby as an avid antique tractor collector. 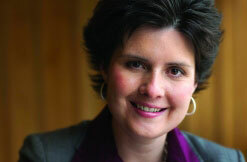 Susanne Veatch, daughter of Jon and Marcia Kinzenbaw, is the second generation in the family business. Susanne graduated from Iowa State University with a degree in Business. Prior to joining Kinze in 2005, she spent many summers working in all aspects of the family business and as a Systems Analyst at Caterpillar. 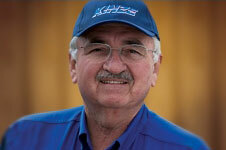 "Our farmer customers are the reason we are in business, and we understand their needs because we are farmers too. 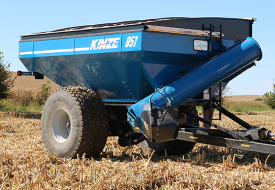 We are proud to put our name on Kinze equipment and to build high quality, durable products. 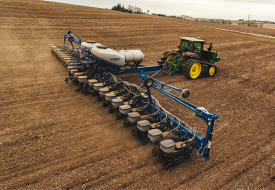 The American farmer helps feed the world and we are honored to contribute to this awesome responsibility."